In the latest climate-change catch-22, the wind-power potential in India, a country with a rapidly growing economy that is heavily dependent on coal-generated energy, already appears to have been diminished—by global warming. The Northern Hemisphere’s middle latitudes, between the Tropic of Cancer and the Tropic of Capricorn, are characterized by strong winds driven by temperature and pressure contrasts: a huge reservoir of potential energy, increasingly being tapped by turbines to generate electricity. But in a paper published today in Science Advances, based on an analysis of hourly wind data gathered between 1980 and 2016, a team led by Meng Gao, a postdoctoral fellow at the Harvard China Project, and senior author Michael McElroy, Butler professor of environmental science, reports a long-term decline in wind speeds over India. Slowing winds and reduced monsoon-driven atmospheric circulation, the researchers say, is being caused by warmer ocean-surface temperatures. 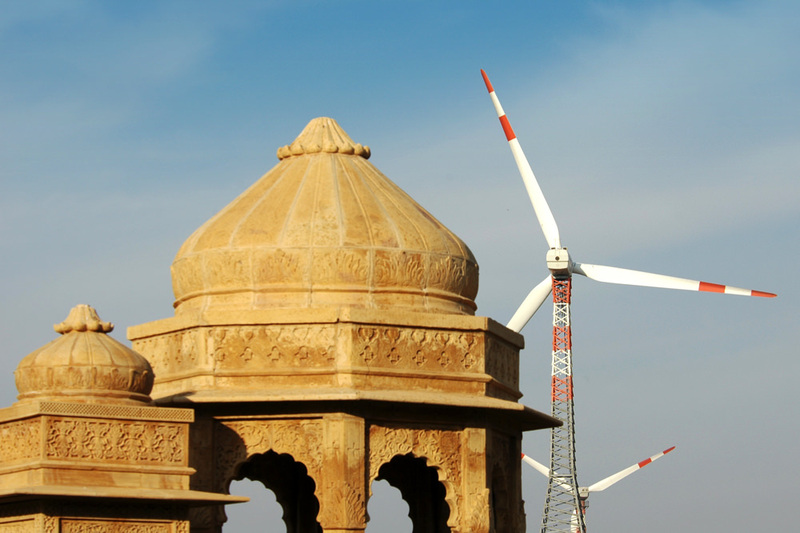 The reduced contrast with historically high land-surface temperatures, and ensuing changes in air pressure differences between land and sea, lessened the wind-power potential over the Indian subcontinent by 13 percent during the period studied. India is the third-largest energy-consuming country in the world, trailing only China and the United States in carbon-dioxide emissions, the authors point out. It is expected to become the most populous country in the world by 2025. By 2040, energy consumption is projected to quadruple from 2005. Wind power is an important alternative energy source for the country, because its coal reserves—the fifth largest in the world—are a source of health-harming atmospheric pollutants, as well as carbon dioxide, a greenhouse gas. Its wind-power potential, the study reports, is two and half times greater than its current energy demand. That means wind power, which in many regions of India generates electricity less expensively and far more cleanly than coal, could become an important contributor to its future power portfolio. At the moment, the Indian government anticipates 60 gigawatts (a gigawatt is a billion watts) of wind-power capacity by 2022.